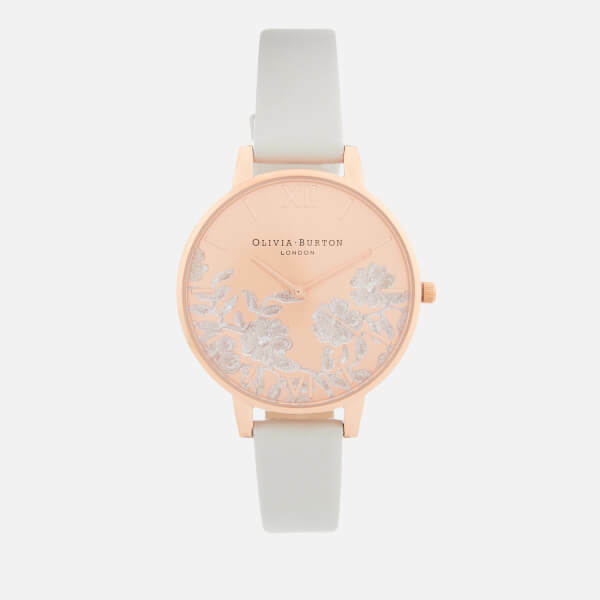 Women's blush and rose gold watch from British accessories label, Olivia Burton. 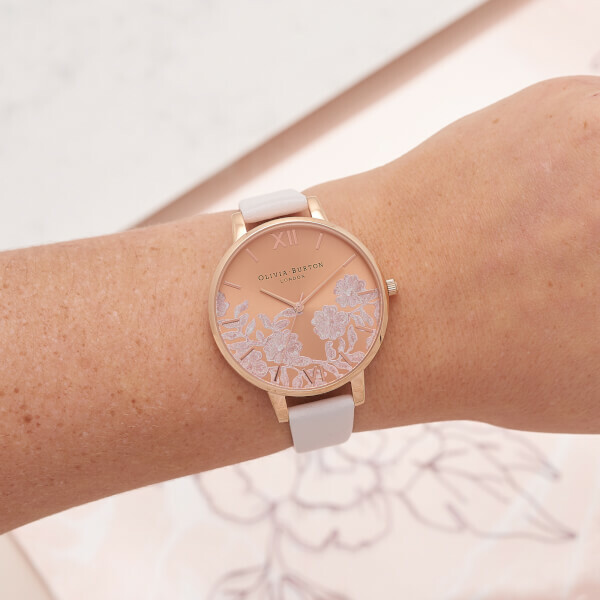 Crafted from plated stainless steel, the elegant timepiece showcases a rounded, rose gold case and a glistening sunray dial with ornate lace detail. Functions on a three-hand Japanese Quartz Movement. Secured on the wrist with a traditional pin buckle leather strap. Signature branding to the dial, back of the case and underside of the strap. 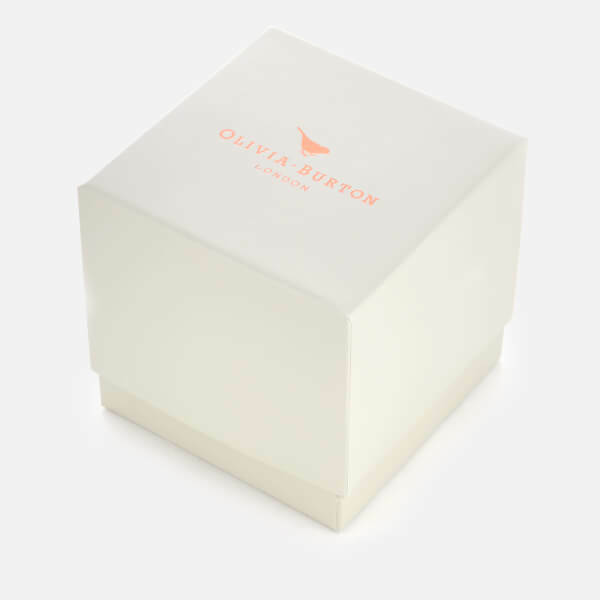 Arrives in an Olivia Burton gift box. 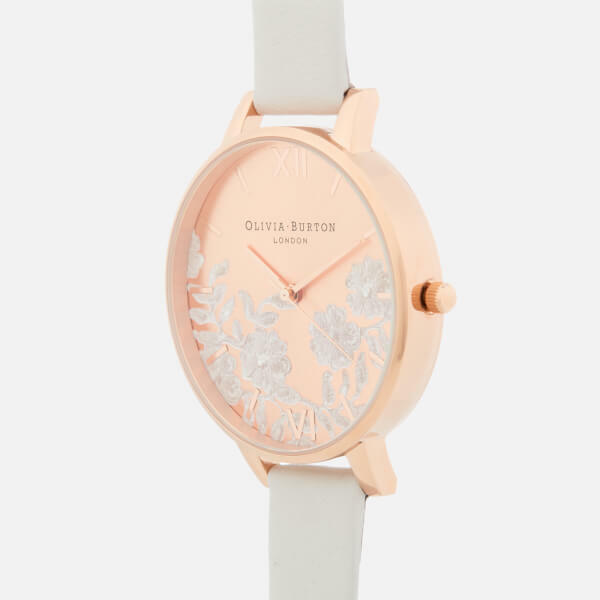 Case: Rose Gold-Plated Stainless Steel. Strap: Genuine Leather.